I love nature as much as the next guy. I would swap in a moment the beautiful view of the Chrysler building from my New York City office for the span of the Rockies from the top of Colorado’s Independence Pass. I’d happily trade the Disney-like perfection of an American red delicious apple for a misshapen but stronger-tasting French pear. But would I rather gather food in the forest than have it planted in farms and delivered to the grocery store? Would I rather fight cancer with meditation and prayer than chemotherapy? Would I condemn my friend’s Chihuahua as a genetically manipulated monstrosity of a wolf? The truth of the matter is that much of what we call “natural” is the product of our own manipulation over time, and that nature, on its own, doesn’t seem to give a rat’s tail (or other part of the rat’s anatomy) about us. I wish it did. Before we figured out how to manipulate our environment we were all too often victims of it. When our ancestors developed agriculture, medicine, and virtually every other amenity that touches our lives, we were giving the middle finger to nature as we found it, making clear that we didn’t accept that our lives should be nasty, brutish, and forty years short, that we could only live in tropical climates, and that our planet could only support a small number of people relative to how many we have today. If you wandered around the world 15,000 years ago, you wouldn’t see anything looking much like a Fuji apple or a dachshund or a corn stalk or… The list could go on for a very long time. The antecedents of all of these things had little resemblance to what we know today and were domesticated by us and then transformed over thousands of years of genetic selection (the teosinte weed, from which corn derives, has about ten kernels, a corn stalk has about eight thousand, your poodle was a wolf before we started aggressively breeding her genetic mutations). But in spite of the obvious fact that so much of what we feel is natural has already been genetically modified by our ancestors, many of us still have an almost instinctual urge to fetishize an invented sense of our “natural” past. We see this most sharply today in the global fight over genetically modified organisms (GMOs), but the GMO struggle is only the precursor to what lies in our species’ future, genetically modified people. I’ve already discussed genetically modified humans in another post, so let’s discuss GMOs. Humans have been manipulating plant genetics since we domesticated cereal grains. Over the last 10,000 years, the process of domesticating the huge majority of the plants we eat today was based on genetic selection and manipulation via trial and error. When Gregor Mendl gave us a conceptual framework and we developed the ability to do this more quickly through the genetic engineering procedures pioneered in the 1970s, this process did not fundamentally change, it only sped up exponentially. We then learned how to share genes from one species to achieve a beneficial effect in another. The progress has been spectacular. We have created rice, wheat, and maize strains, for example, which can survive severe drought or flooding or provide essential vitamins, essential to feeding growing populations in parts of the world facing water and nutrition crises. We have engineered crops able to protect themselves against devastating diseases (like the papayas bred to survive the ringspot virus in Hawaii) or against pests in order to reduce our use of toxic pesticides. We have created genetically modified bacteria that produce insulin that makes the lives of millions of diabetics livable. We have increased agricultural yields. Like any technology, genetic engineering has the potential to do good and do harm (think e-mail and spam), and the only logical way to think about how we use it is to weigh the pluses and minuses based on all the available research. Luckily for us, an enormous amount of research has been done. And after decades of research, the overwhelming consensus among scientists is that genetically modified crops are as safe as conventional. This is logical because, as I’ve mentioned, nearly all the plants we consume, other than those gathered in pristine forests, are already genetically modified in some way. Study after study has shown this. Studies by The World Health Organization, the American Medical Association, the U.S. National Academy of Sciences, the British Royal Society, and other of the most respected organizations in the world have all reached the same conclusion. Yale scientist Stephen Novella sums up the overwhelming result of decades of research confirming the safety of GMOs in his excellent Mother Jones interview linked here. This research, however, has not made much of a dent in the anti-GMO campaign. Many opponents of GMOs have strong and understandable, but seemingly emotional reasons for their views. Progressives who scoff at the concepts of “intelligent design” put forward by creationists, for example, make very similar arguments in the GMO debate, arguing that genetic manipulation somehow interferes with a divine-like plan or the perfection of evolution (if evolution is so great, why am I losing my hair?). The feeling that there is something inherently (or inexplicably) wrong with the GM process runs deep in many of us who, all too often, confuse familiar for “natural.” A July 2013 Gallup poll found this 48% of people surveyed believed genetically modified foods pose a “serious health hazard,” compared to 36% who felt otherwise. But if the science is so overwhelming, why do such huge numbers of people in the United States and particularly Europe oppose GMOs? Part of the reason is that there’s been a massive disinformation campaign by organizations opposing GMO crops, part of it is that large multinational corporations like Monsanto, which some people inherently distrust, stand to make significant profits from this burgeoning industry, part of it is that the voice of the scientific community has been muffled. When former anti-GMO campaigner Mark Lynas, for example, did an exhaustive review of the science and concluded in 2013 his previous opposition had been ideologically driven and misinformed he was roundly attacked (see the stories and interviews from CBS, Forbes, The Guardian, and New Yorker). When New Yorker journalist Michael Specter pursued Indian anti-GMO super-campaigner Vandana Shiva asking her to justify her outlandish claims that GMOs were reaping death and destroying the planet, she was unable and unwilling to do so, as seen in his excellent article. Shiva’s often repeated claims that GM cotton was leading Indian farmers to suicide proved baseless, with the farmers themselves telling Specter that GM cotton had increased their yields and reduced the pesticide use that was literally killing their families. I was recently meeting with leading GMO regulators in Europe who suggested to me that the key driver behind Europe’s sever restrictions on GMOs was politics, not science. 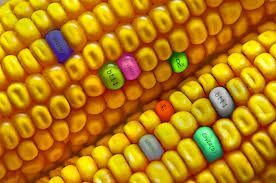 They recognized, as is well known, that the majority of enzymes used in food production in Europe are genetically modified, and that many medicines are the product of processes that, as with synthetic insulin, use genetically modified organisms. According to them, Greenpeace, the leading anti-GMO campaigner, has allegedly lobbied against the labeling of these products as GMO-derived out of an apparent fear that if people understood how reliant we are on GMOs the anti-GMO campaign would collapse. None of this is to say that there are not real issues surrounding the future of GMOs. In fact, there are real risks. If we over-rely on certain crops, or allow corporations to gain monopoly powers over our food supply, or inadvertently create super-resistant pests, we could have problems. But these types of fears are valid for many technologies. Who wouldn’t want medicines or cars or foods to not be regulated? GM is a tool with a huge upside and a potential downside that requires thoughtful regulation. It is critical to make sure that no single company or country has the ability to monopolize the global food system in any way, that we don’t destroy the diversity of plant life, and that we maintain a healthy level of humility as we move forward carefully. But these goals are all manageable over time and being honest about what the science is telling us about the relative safety of GMOs is an essential precursor to even having the conversation about how they might be used. This is not just an academic exercise. GMOs crops will be essential for countering the devastating impacts of climate change that will make wide swathes of agricultural land less arable, they will be critical for providing essential nutrients to disadvantaged populations around the world (for probably the best argument for how applied agricultural science can save lives in and bring prosperity to Africa, see Calestous Juma’s superb book, The New Harvest: Agricultural Innovation in Africa), conserving water and energy, increasing yields, and enhancing resistance to dangerous and deadly pests. How else do we plan to feed the estimated nine billion people who will inhabit our planet by mid-century if we don’t figure out a way to use this agricultural technology to our benefit? I completely understand the sense of unease that some people have with GMOs. I also know people who are afraid of over-reliance on robots, Google, processed food, nuclear energy, insurance companies, and self-driving cars. All of these require regulation of one sort or another, and this regulation can’t always happen overnight. I also get it that we need to be careful with GM crops because, once released, it may be impossible to go back. We need a process, but that process can’t last forever. The stakes are too high. The best analogy I can come up with is vaccines. Vaccines haven’t been around forever, but they have saved many millions of lives. Some people, like the infamous Jenny McCarthy, have railed against them for years. Why should we care if people listening to McCarthy and others don’t have their kids vaccinated because they have a gut feeling, supported by bad science, that vaccines are somehow not “natural” and bad for children? Because their children being unvaccinated makes ours more susceptible to resurgent diseases. Why should we care that Europeans ban GM crops? Because, for one, those restrictions make it all but impossible (in the world as it exists for the foreseeable future) for countries, the poorest and most vulnerable in the world among them, needing to use GM crops to feed their populations, to both safeguard their populations and foster economic growth through agricultural exports. I don’t mean to minimize the concerns of the anti-GMO campaigners. There are real issues here that need to be addressed in serious, evidence-based dialogues. But I have no patience for the zealots who destroyed the experimental rice paddies at the International Rice Research Institute in the Philippines testing new rice strains that would help millions of poor farmers sustain themselves. If I were a French cheese-maker in Provence, I probably wouldn’t be too excited about GMOs either. But for the perspective of our species, we’d better figure this one out based on a rational, not emotional, assessment process. Like it or not, GMOs are an important part of our future. If GMOs worry you, what will you think of genetically modified humans?